Zynga, the social games studio behind Farmville, has announced its new Bingo game for Facebook. The age-old, OAP-friendly pastime comes to the social network in much the same guise as it has been played in Bingo halls across the UK for generations. Players will enter rooms with Facebook friends or random members and cross numbers off their cards as numbers are called to the room. There are a series of themed rooms that the games will take place in, like Las Vegas Casino, although smoky Doncaster social club is sadly not listed amongst them. Like Zynga Poker, players can see which rooms their friends are in and chat as the game is going on, while playing up to six cards at a time to increase the chances of winning. Beyond the traditional card-completing antics, there's also power-ups which help you complete your B-I-N-G-O cards faster, but these and playing multiple games will cost you more virtual currency. The game is currently in Beta but will soon launch to the public. 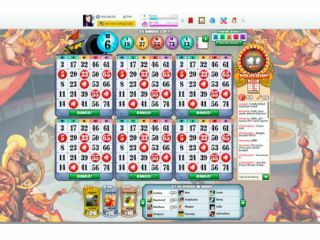 You can check out Zynga Bingo in the video below.